This book is a great reference to all the questions you or a loved one might have. I am constantly reaching for this book. 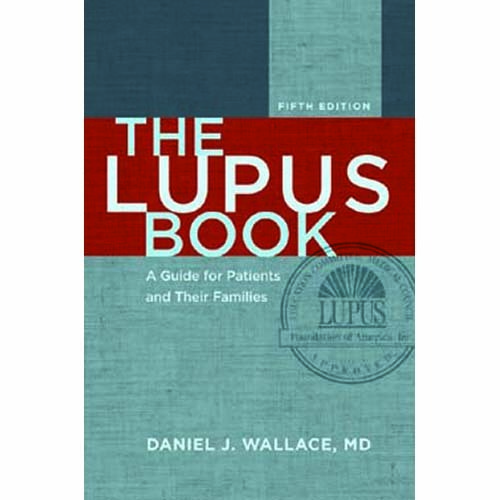 I met Dr. Wallace at a Lupus Foundation meeting in Oklahoma in 1997 and got a signed copy of his 1995 version. Then when the latest edition came out, I bought it too. I just can't do without it. I have systemic lupus with a bunch of strange things that never happen to anyone else I know, but Dr. Wallace inevitably describes them in his book. Really, this book tells you all you need to know if you or a loved one has been diagnosed with lupus or even anything akin to lupus. It has helped me on so many levels, explained soooo much. Great book!